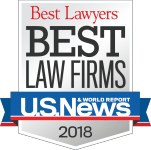 Injuries sustained in motor vehicle collisions, especially motorcycle and truck crashes, as well as construction site accidents and medical malpractice mishaps are often extremely severe and life-altering. Fatalities in these types of situations are, unfortunately, all too common. These injuries are referred to as “catastrophic injuries” because they turn victims’ lives upside down. 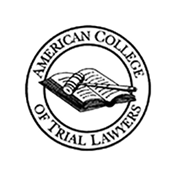 If you or someone you love has suffered a catastrophic injury, such as an amputation, traumatic brain injury, spinal cord injury, loss of a sight or the ability to hear, due to the negligence of another person, you deserve to be compensated for your pain and suffering and more. The experienced personal injury lawyers at The Law Offices of Andres & Berger, P.C. 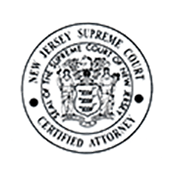 have earned a reputation throughout New Jersey for winning maximum compensation for clients injured in catastrophic accidents. We will fight tirelessly to make sure the negligence parties who caused your accident are held responsible for their mistakes. Contact our office today for a free consultation. Our clients reside in communities throughout New Jersey including Cherry Hill, Marlton, Voorhees and Medford, NJ. 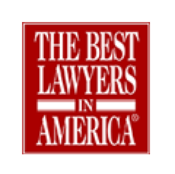 When you have been injured in a catastrophic accident, it’s completely understandable if, in addition to being in extreme pain, you are worried about your family’s future. Who is going to pay your medical bills and for future care when you are not able to work – especially if you need constant care? If you were the main earner in the home, how will your bills be paid? How will your traumatic injury drastically change your quality of life? At The Law Offices of Andres & Berger, P.C. we understand what you are going through. 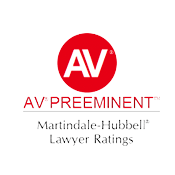 While our office is located in Haddonfield in South Jersey, we have earned a reputation throughout the state for achieving significant success in a wide range of personal injury cases throughout New Jersey. We have helped countless families, like yours, obtain the financial damages they deserved following a catastrophic accident in Mercer County, Monmouth County, Ocean County and throughout NJ. Any accident that results in extreme, life-changing injury may be labeled catastrophic. These injuries have a significant impact on the victim’s lifestyle – often requiring a major change in job (if they are able to physically continue to work), the need for constant care by skilled nursing professionals, ongoing rehabilitation and medical treatment and a significant downgrade in quality of life. The significant costs associated with catastrophic injuries are usually extensive; there are emotional costs, physical costs and financial costs. Our experienced catastrophic injury lawyers at The Law Offices of Andres & Berger, P.C. will leave no stone unturned as we investigate your accident, working with highly skilled consultants, to craft a personal injury case that will have maximum impact with jurors. When someone is responsible for causing you injury, because they were careless or negligent with their actions, it’s understandable that you want to hold them responsible. So do we. At The Law Offices of Andres & Berger, P.C. 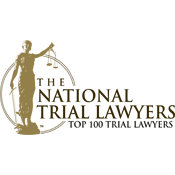 you can rely on the fact that we will work tirelessly to win maximum compensation for not only your medical bills and pain and suffering but for the impact these injuries will have on your quality of life. Many personal injury law firms are only interested in negotiating settlements for their injured clients. Of course, we work diligently to negotiate a generous settlement on your behalf. However, we aren’t afraid to take catastrophic injury cases to trial – and insurance companies know this. This means that the insurance companies don’t waste our time with low-ball offers. 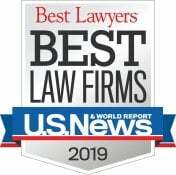 The result is significant compensation being awarded to The Law Offices of Andres & Berger’s clients. Are you or a family member suffering from catastrophic injury from an accident caused by someone else’s negligence? Don’t wait another minute to contact The Law Offices of Andres & Berger, P.C.. We will get started immediately fighting for your rights and protecting your interests. We will hold the liable parties responsible for the damage they’ve caused you. Call our offices today to request your free consultation with a knowledgeable, compassionate personal injury lawyer. We will be by your side every step of the way as we fight for justice for you and your family following a catastrophic accident.